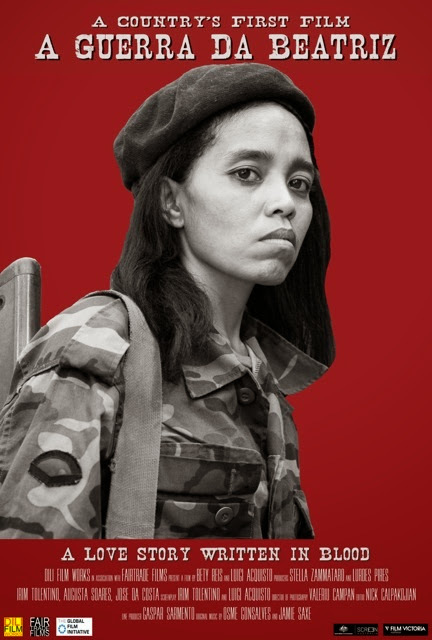 Cinema Loro sa'e is proud to be hosting the World Premiere of A Guerra da Beatriz on Saturday 29th June 2013, on behalf of Dili Film Works and Fair Trade Films in the town of Kraras, in the hills near Viqueque, Timor-Leste. The free screening will be outdoors, on our large inflatable screen in the centre of town, so that a vast crowd can enjoy the event. The screening will begin at approximately 6.30pm with an introduction by Director Bety Reis and her film making team followed by our pre show shorts program, then the World Premiere. The interpid Cinema Loro sa'e team of Angelo and Lou in the RENTLO Toyota Troopy are on the road three weeks a month screening shorts and movies across Timor-Leste, we have shown a range of films over the last three years, but once the World Premiere has screened, we will show A Guerra da Beatriz in every Village we screen in, from the district centres to the tiniest village.